United Movers have been helping the people of Coventry and Warwickshire with domestic and commercial removals for many years. We have fast become recognised as a company that cares about their customers whilst also offering fantastic value for money. “Excellent service. Booked with very short notice but David was very helpful in organizing. Extremely professional, quick and efficient service. The team were on time, friendly and careful with our belongings. They really took the stress out of our house move. Highly recommend! Came promptly to quote, arrived ahead of time to pack, truck well kitted out and tidy, staff friendly, efficient and helpful.Move went like clockwork ! 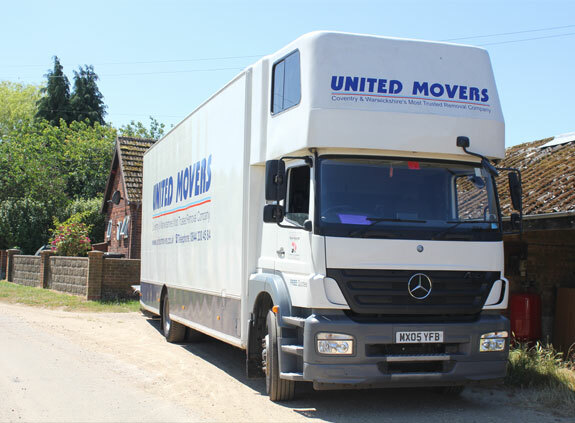 We had a team from United Movers help us move house in January 2019 including both removals and packing service. They were brilliant from start to finish and I would highly recommend them. David visited the property to do an initial quote, from then on the process was seamless. The team themselves were friendly, effecient, extremely careful, hard working and extremely helpful. Every item was packed and moved perfectly and made the whole process of moving house much less stressful. I will certainly use them if and when we move again in the future. We were so impressed with the team from United Movers, they were quick, efficient and very careful to protect all of our belongings during our recent move. They did it all with a massive smile! Thank you!